Exploring Aso comes easy with a “car” as the main transportation. Therefore, my family and I decided to rent a “travel buddy” on the road. We picked up our pre-booked rental car from Times Car Rental and got ready for road trip. For those who do not know Japanese language (like me) but wish to go on for road trip, you really need to put in efforts doing lots of homework. Note down all the coordinates of the places you would like to visit; and then ask the staff to pre-set it for you in the car’s GPS prior to the road trip. 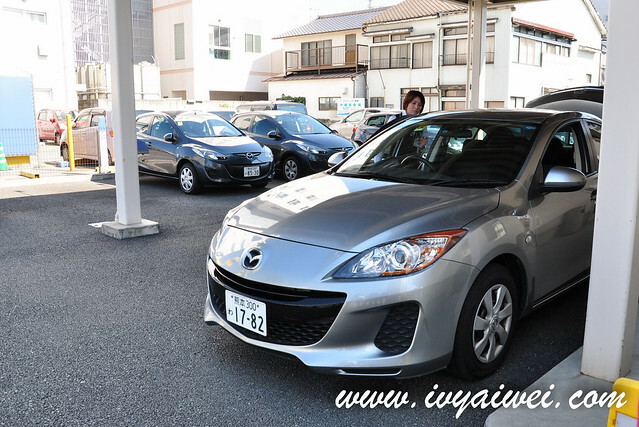 Another important thing you need to do before you will be able to drive a car in Japan is the international license for foreigners. Remember to get yours done in the Japan Embassy Kuala Lumpur before embark to Japan. 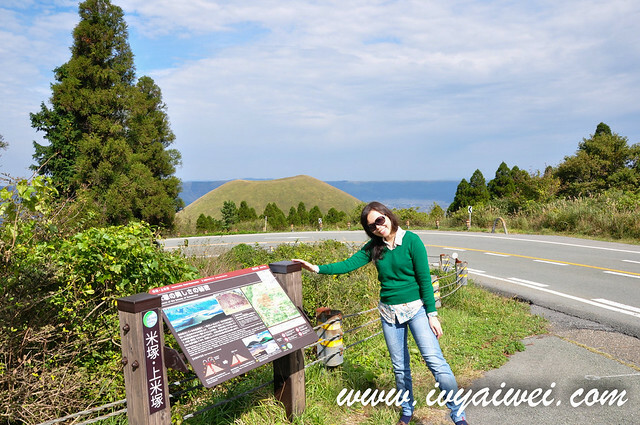 Mount Aso or Asosan, is a very active volcano in Kyushu. 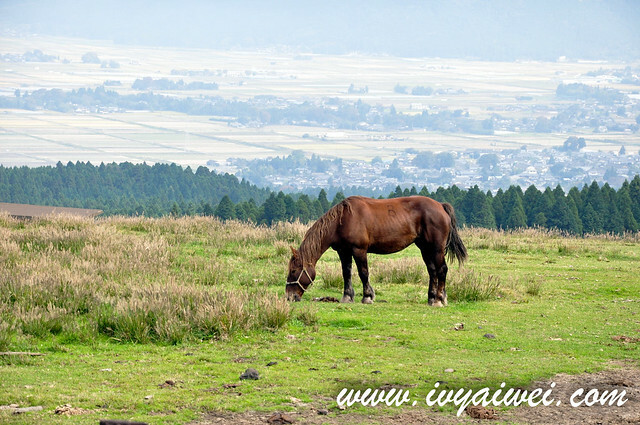 During my visit to Kyushu some years back, the gases from the Mount Aso’s crater was pretty strong and the ropeway to Mount Aso was closed until further notice (at that time). 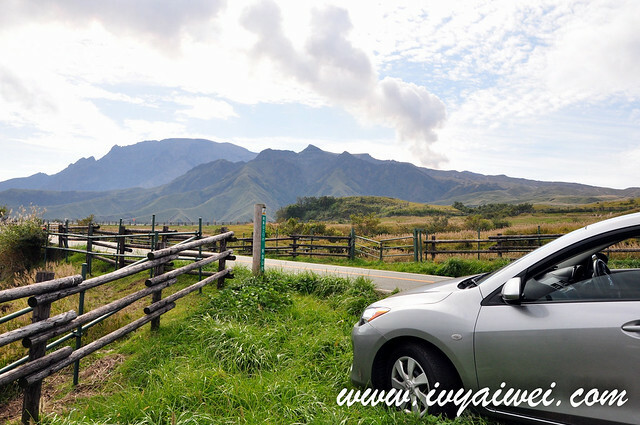 So we drove along the place and stopped by to catch a glimpse of Mount Aso and picturesque scene of that area. Komezuka is the newest volcano which was formed about 3000 years ago. It was once an active volcano but now it is covered in grass, with the crate area sunken at the top. 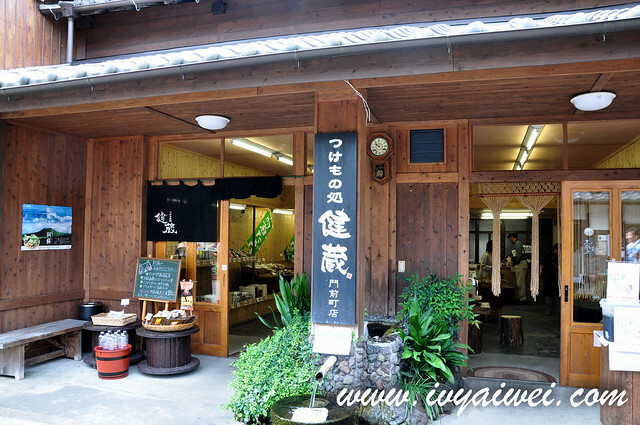 We spotted Sugi Yohoen on our way to Aso Farm Village and decided to stop by. 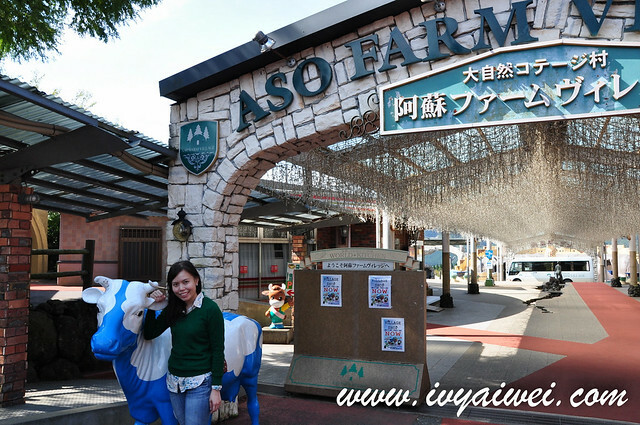 Aso Farm Village is a one-of-a-kind nature theme park that is located at 550 meters high in the glorious landscape of Aso within Aso Kuju National Park. 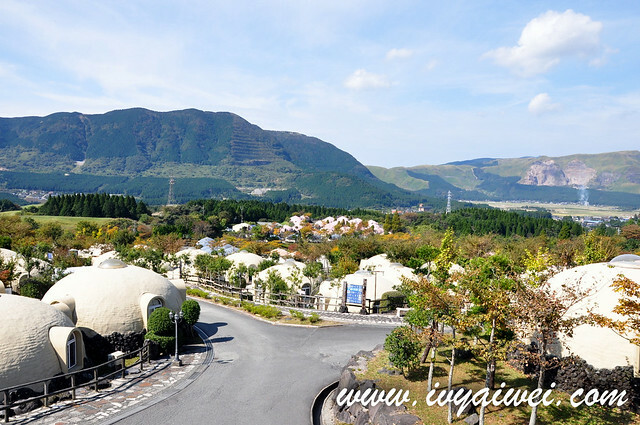 There are 450 dome-shaped guest rooms and overlooking the scenic volcanic crater of Aso. 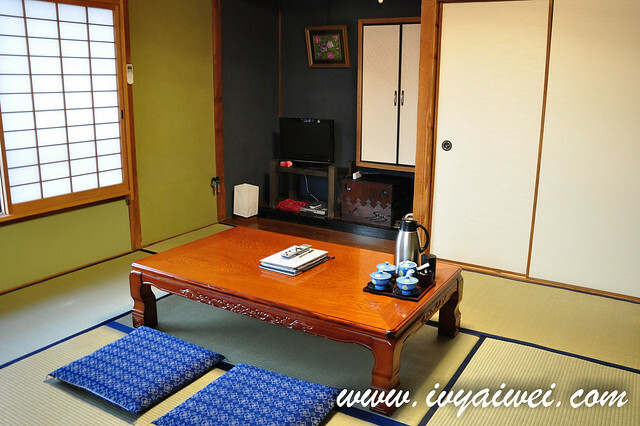 Guests can enjoy the hot spring bath while kids can enjoy the playland and farm in this village. 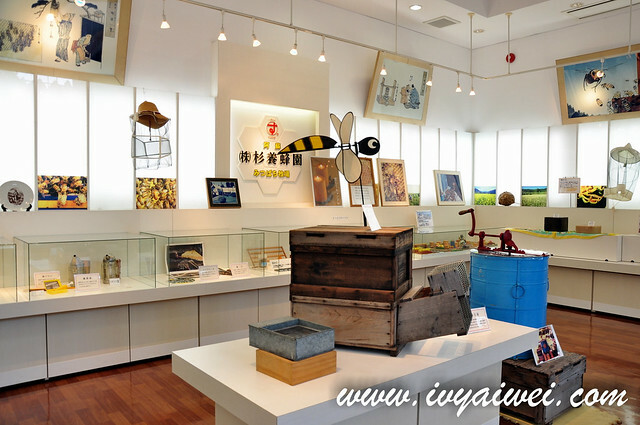 It is a great place for family outing. We didn’t stay in here but just dropped by for some pictures of the cute dome-inn. 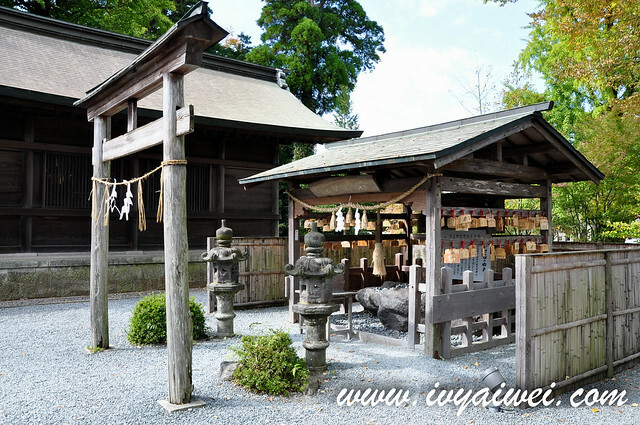 Aso Shrine is a Shinto Shrine in Aso, one of the oldest and most prominent shrines in Japan. The two-story Romon Gate is the most impressive structure of the shrine, whereby it is one of the Japan’s three largest gates in this style. 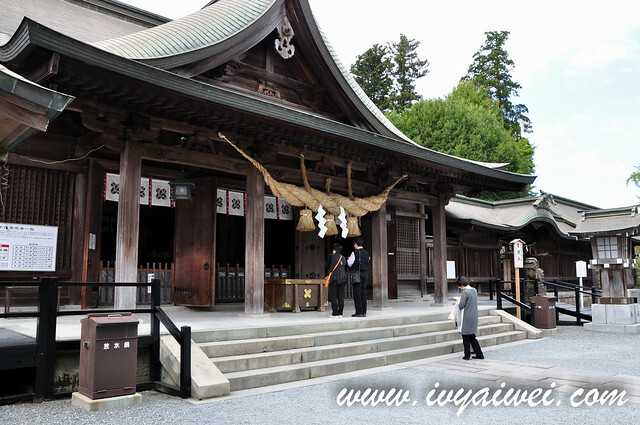 This shrine is popular as a god protecting worshippers from traffic accidents, and of exorcism, marriage and learning. 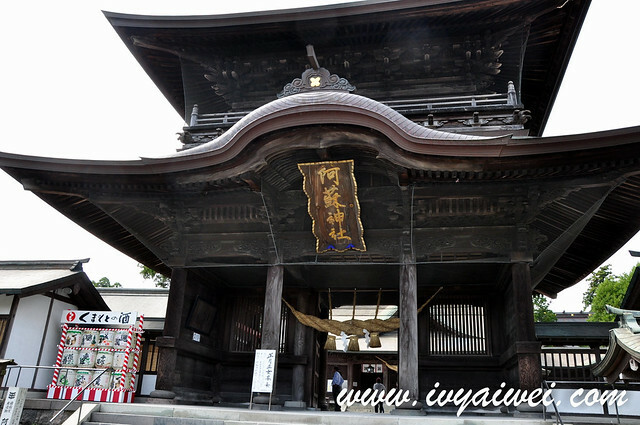 It is believed that the shrine was built in 281 before the accession of the Emperor Jinmu. The deity enshrined is Tateiwatatsu-no-Mikoto, the grandson of Japans first emperor, Jinmu, who was said to have developed the Aso area. I was pretty lucky I managed to catch a glimpse of Aso Shrine before it was disrupted by the strong earthquake which was happened in April 2016 at a magnitude of 7.0. The romon Gate and Haiden offering hall collapsed and it might take years for the reconstruction works to be done. 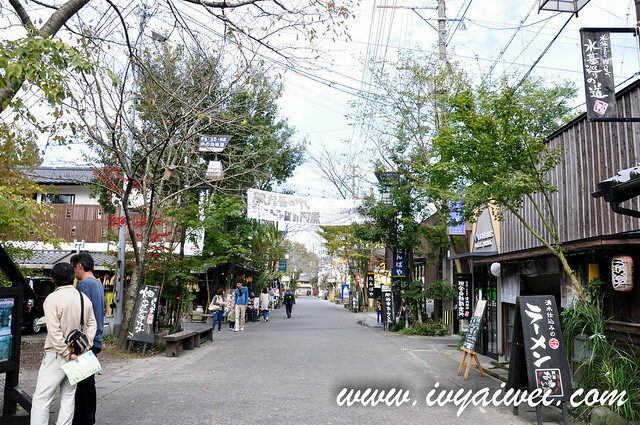 Aso shrine is about 20 minutes’ walk north from Miyaji Station on JR Hohi Line. 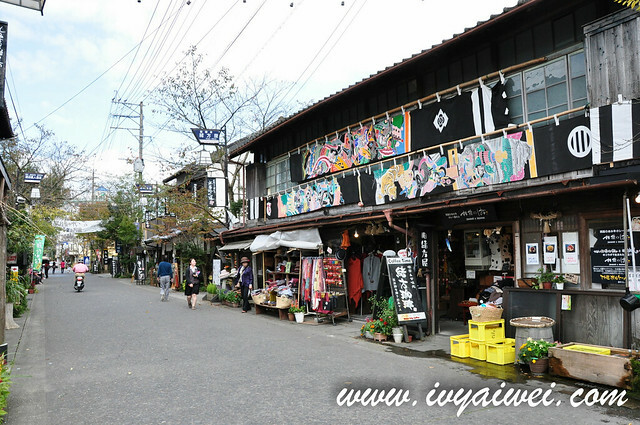 A lovely quirky old street that is dosed with a lot of charm, situated just past Aso Shrine. 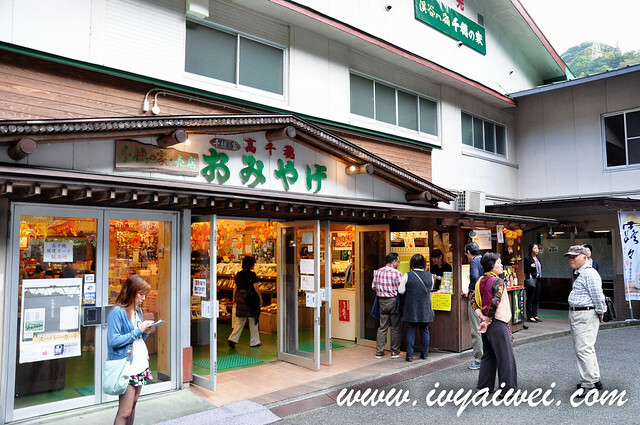 It is a great place to take a stroll along the street and check out the photogenic water features or Mizuki (natural spring drinking fountain) that are placed outside the shops along this street. 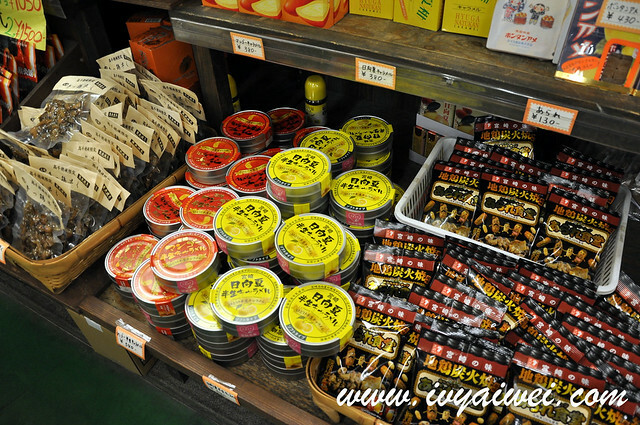 Also, you may get your omiyage (souvenirs) here! 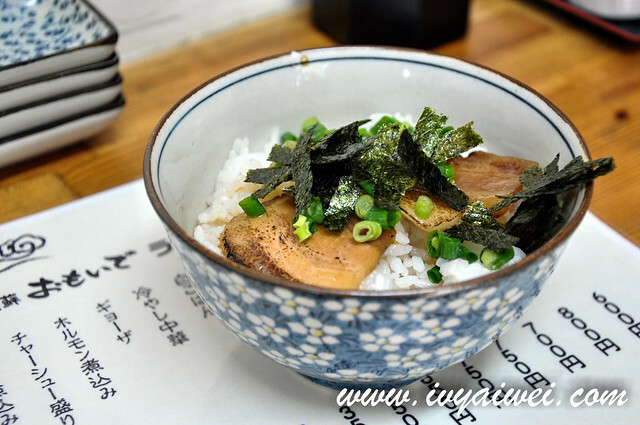 We randomly popped into a ramen house –阿蘇おもいでラーメンand had a very satisfying lunch; a bowl of hot piping tonkotsu ramen and tsukemen paired with amazing slices of char siu. 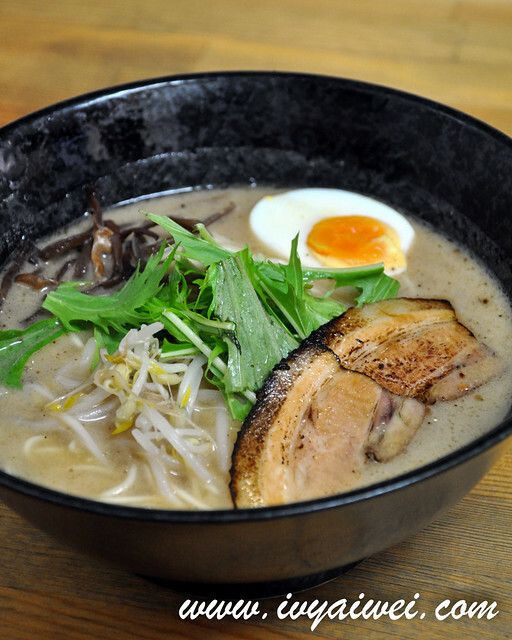 Not to mention, the rich collagenous tonkotsu broth was very delicious too! 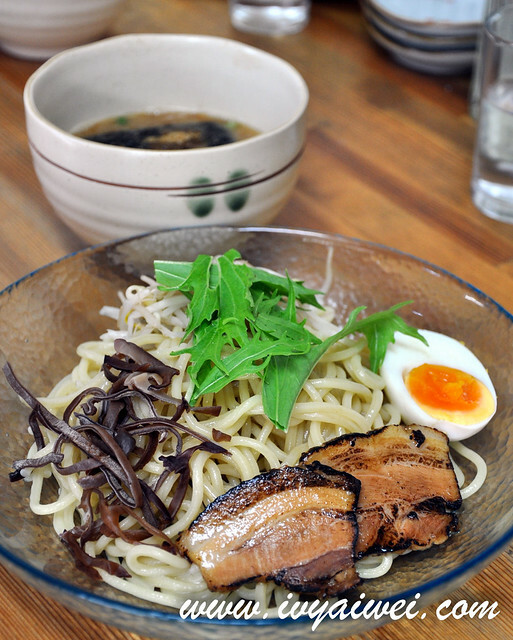 A short wait is needed as there is only a chef cooking your ramen. 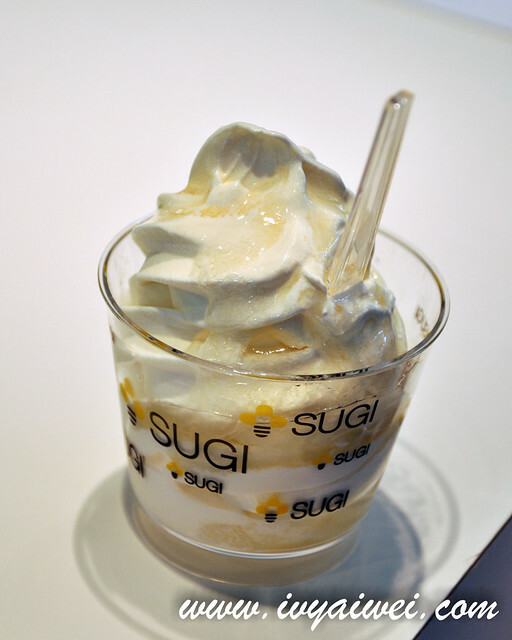 Manai Waterfall is selected as one of the best fine waterfalls in Japan. 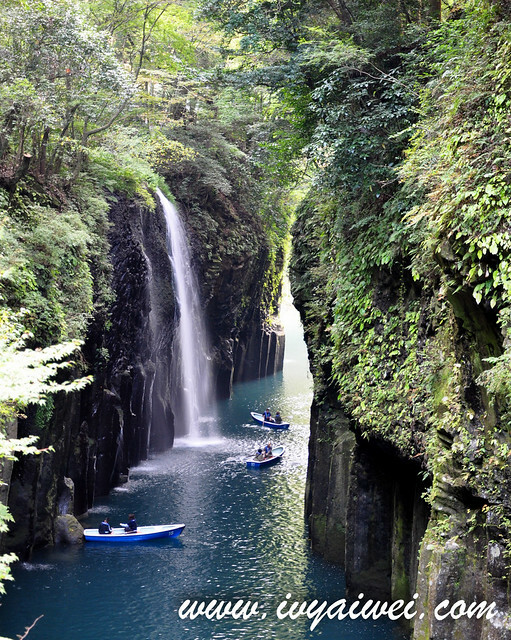 Takachiho Gorge is a V-shaped gorge, created by Gokase River which eroded the Aso lava. This 17 meter high Manai Fall is famous for its clouds of spray that rise up from the falling water. You can take a boat ride here to have a clear view of the waterfall. 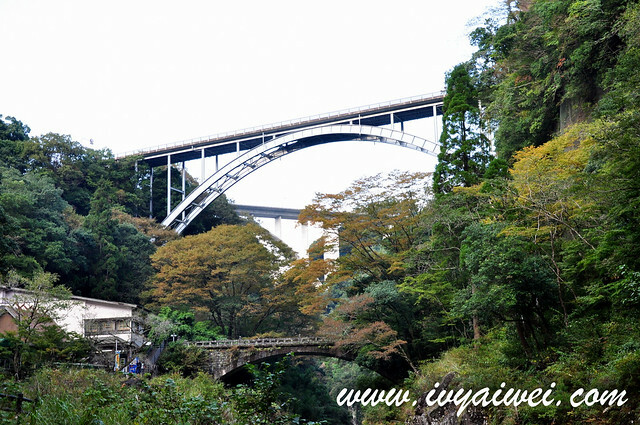 Aside from the waterfall, there are some places of attraction to visit such as Takachiho Shrine which is said to be built about 1800 years ago, Aratate Shrine, Amanoiwato Shrine, Amanoyasugawara Cave Shrine where you get to see the stone piles standing on the Amayasu riverbank, and many many more. Due to the time constraint, we only managed to check out Manai Waterfall and then returned our car to the car rental. 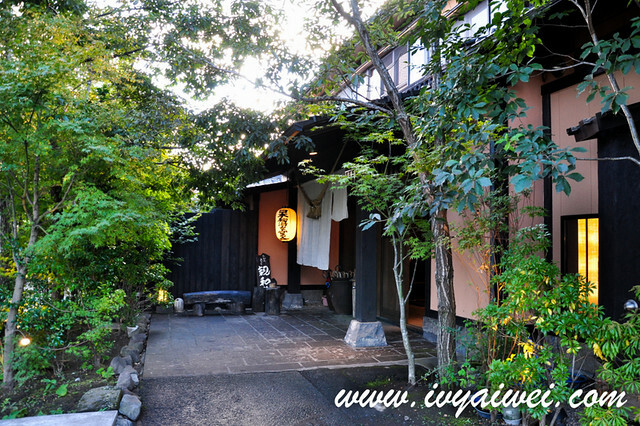 Come to Japan, you must stay at least a night in Ryokan, a type of traditional Japanese inn that housed the tatami style rooms with communal baths. 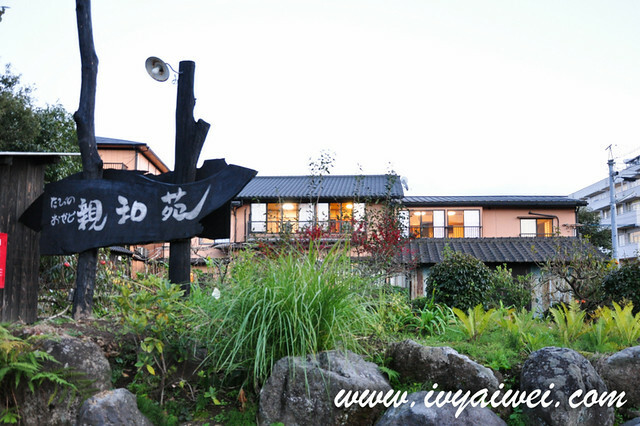 Located in Uchinomaki, Aso of Kumamoto Perfecture, Shinwaen Inn is a heart warming ryokan that housed 8 regular guest rooms in the main building and 4 detached houses with private onsen in its premises. From the outlook of the building itself, it looks a bit own and normal. But once you entered into the house, you will definitely be amaze with it. That is the warmest house I came across. 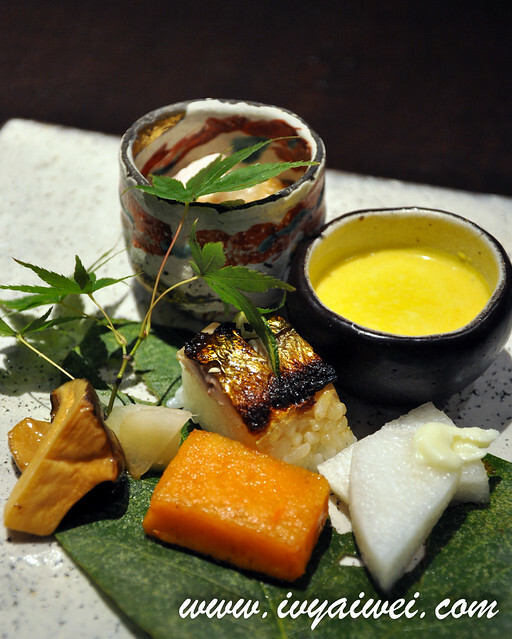 There were 3 of us staying in a room and each of us paid about ¥ 12,000 for a night stay with unlimited onsen dips, one kaiseiki dinner and breakfast. Price differs by low or peak season as well as weekdays and weekend. It definitely worth every cent spent for staying a night or 2 here. 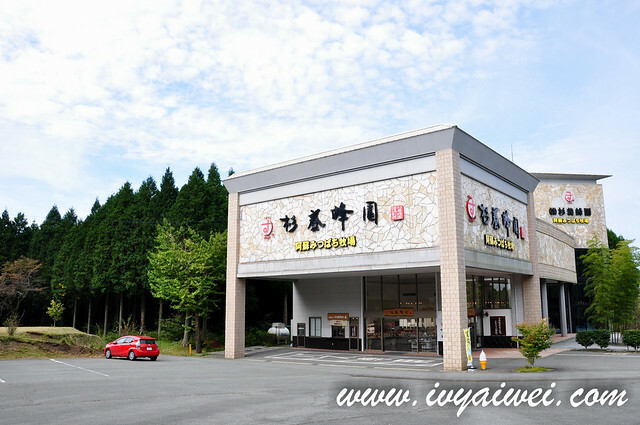 From JR Aso Station, you can take taxi or the bus bound for Uchinomaki. Board off at Onsen Hospital. 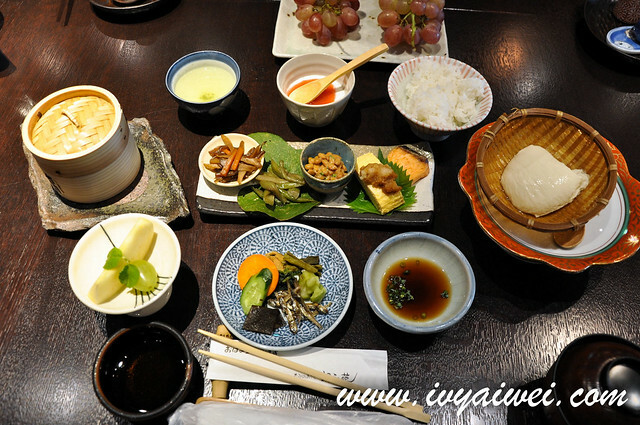 Shinwaen Inn is about 2 minutes walking distance from the hospital. 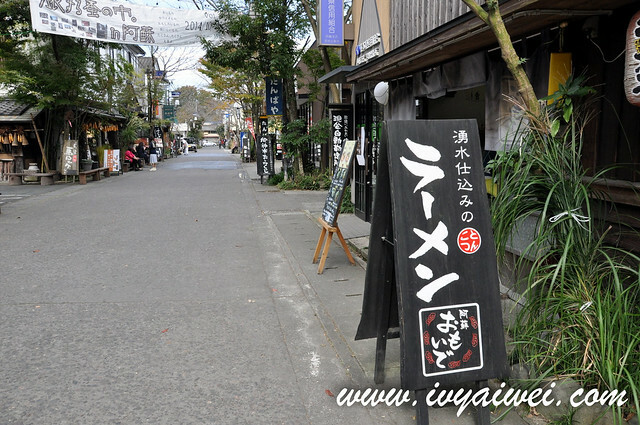 And there is a clear signage directing you to the Shinwaen Inn.